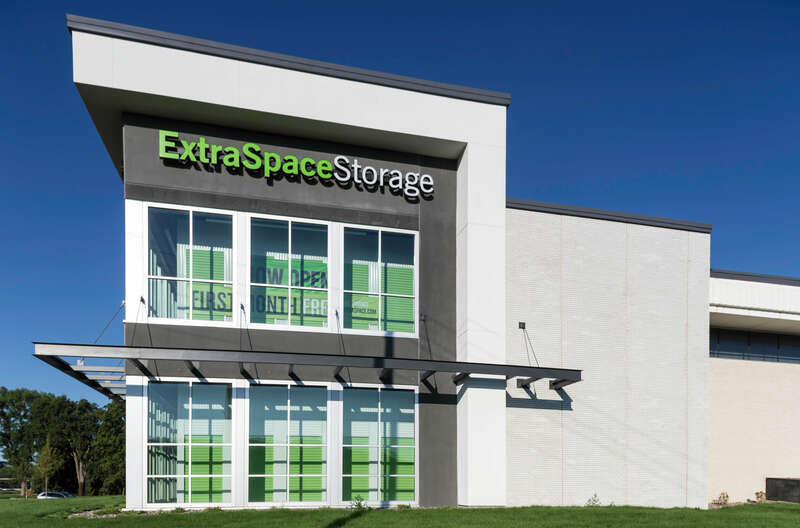 This project involved the renovation and addition to an existing, under-utilized, office building situated at a prominent, highly traveled corner in St. Louis Park. 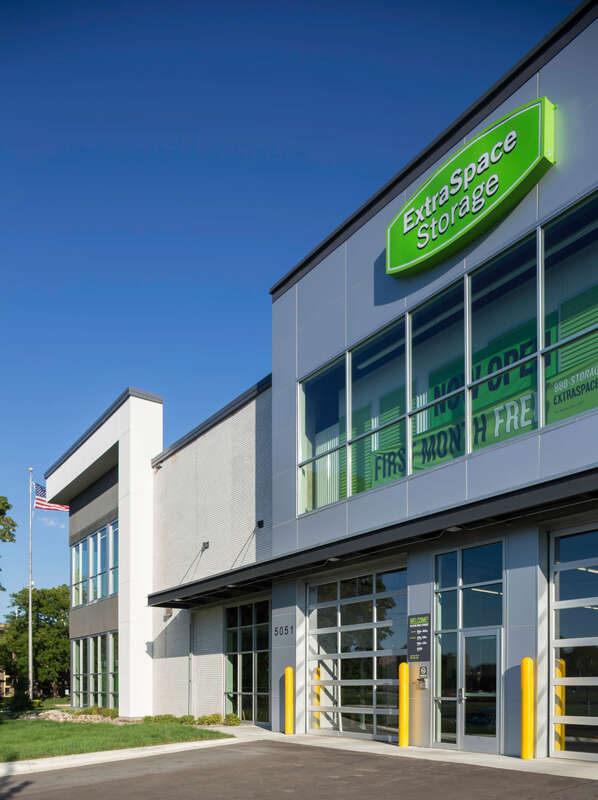 Located near the intersection of Highway 100 and Highway 7, this building was repositioned into a self-storage facility with architectural character and a defined street presence. 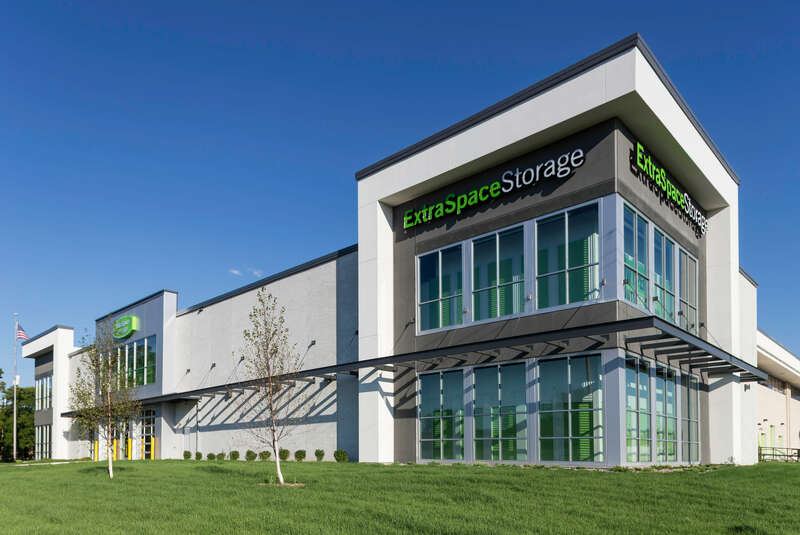 The architectural design offered a clear presence from both east and west directions. 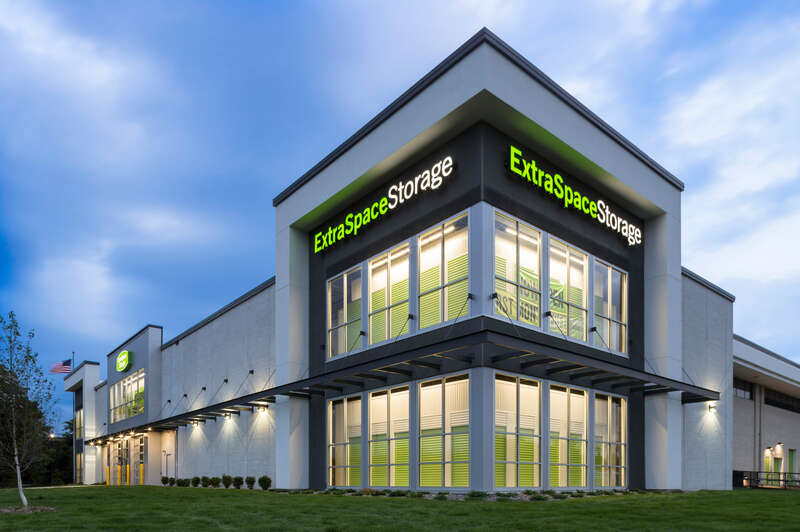 Strong and bold massing at the corners of the building combine with prominent broad graphics, illuminated green doors behind glass, and roll-up exterior doors with lighting above which are easily seen from all directions. 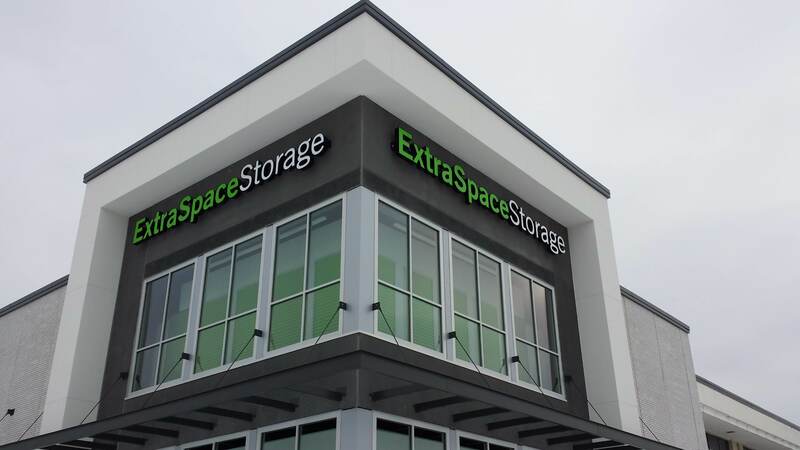 A unique concept for the reposition of an office building, Extra Space Storage is proven successful as it is leasing at a rate that exceeds initial projections.